We put up our main Christmas tree upstairs and we love it! 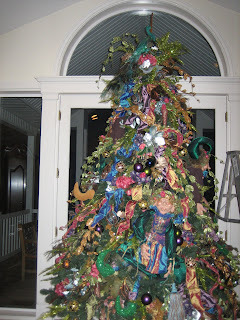 It has a wonderful whimsical theme and it brings the fun, spirit of Christmas into our home! Mom your amazing!